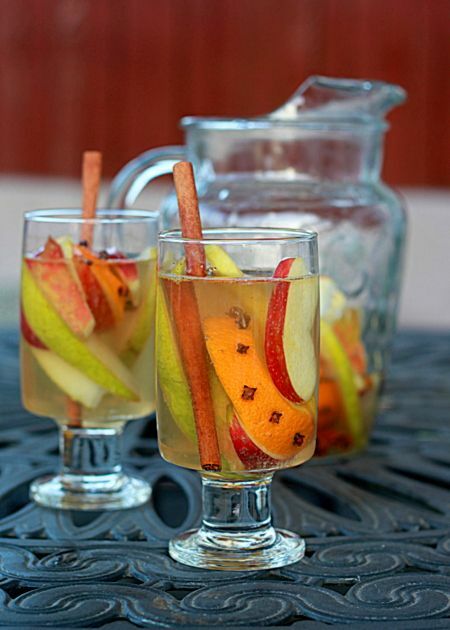 Apples, pears, and oranges join hands with cinnamon, cloves, allspice, rum, and Sauvignon Blanc for a spicy, fruity autumn-inspired white sangria. Slice the orange into 1/2-inch wide slices, then poke all around the peels with a toothpick to make holes for the cloves. Stick the stem end of the whole cloves into the toothpick holes. 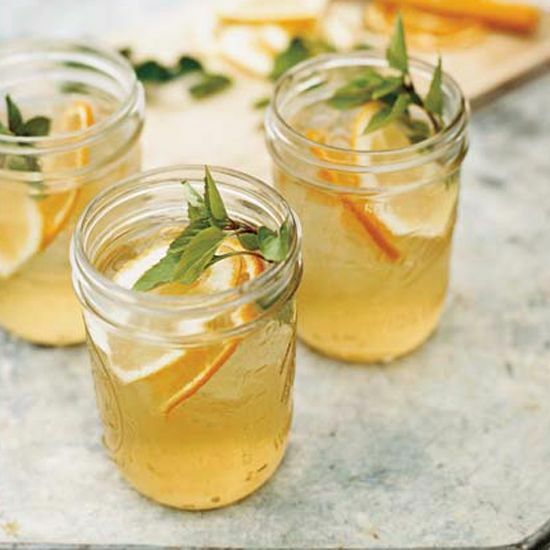 Add clove-studded orange slices to a pitcher along with the pear and apple slices. Top with the cinnamon sticks and sprinkle in the allspice. Pour in the bottle of Sauvignon Blanc and add the rum. Stir gently. Cover and refrigerate for at least 4 hours, up to 8 hours. Remove from refrigerator and strain mixture to remove allspice and any errant bits of clove. Add back the fruit and cinnamon sticks. Pour in ginger ale and stir gently. 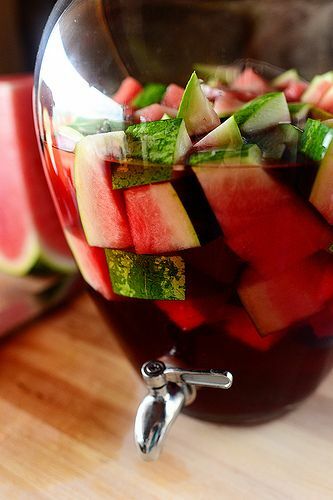 Serve with pieces of fruit in each glass and top with a fresh cinnamon stick. 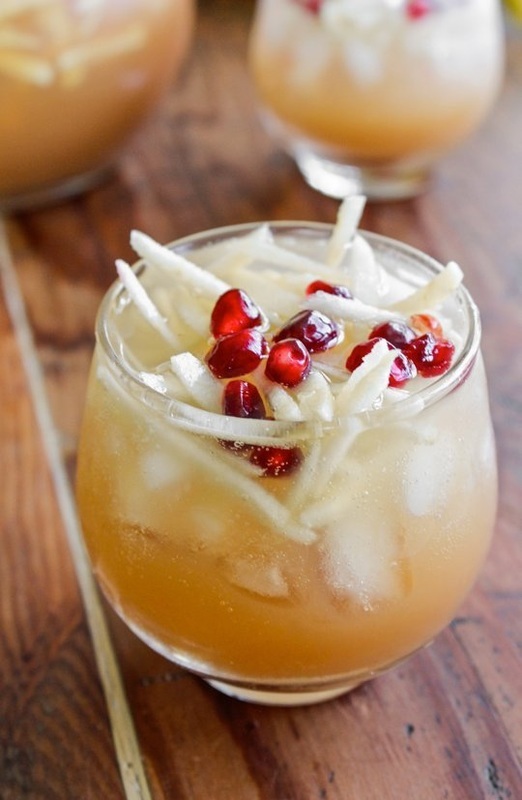 Slice the apples into matchsticks rather than the cubes for a more traditional rustic sangria, and then add some pomegranate seeds for a stunning presentation and a nice touch of tartness.